This entry is part 7 of 11 in the series Magento for PHP MVC Developers. Earlier posts include The Magento Config, Magento Controller Dispatch and Hello World, Layouts, Blocks and Templates, Magento Models and ORM Basics, Magento Setup Resources, and Magento ORM: Entity Attribute Value; Part 1. Later posts include In Depth Magento System Configuration, Varien Data Collections, Magento System Overrides and Upgradability, and Magento Default System Configuration Values. One of the more powerful parts of the Magento eCommerce System is the Admin’s System Config section. As a developer, it will allow you to quickly and easily setup forms elements that allow your end-users to configure their Magento System and your custom modules. Like a lot of things in Magento, it can be intimidating the first time you attempt to setup a new configuration section from scratch, but once you’ve done it once the power of (nearly) code-less forms will become addictive. Let’s get started. We’ll be building off the module we created in the Magento Controller Dispatch and Hello World article, although any empty module should suffice. The impatient can download the complete module for this article here. The loadModulesConfiguration method will look in each configured module’s etc folder for a file with the passed in name (in this case, system.xml). Magento has a number of other configuration files (api.xml, wsdl.xml, wsdl2.xml, convert.xml, compilation.xml, install.xml), and as a module developer you can leverage this functionality to create your own. The first thing we’re going to do is a add a custom “Tab” to the System Configuration. Tabs are the navigation headers down the left hand side of the Admin in System->Configuration. The default tabs are General, Catalog, Customers, Sales, Services, and Advanced. A few explanations are in order. The name of the <helloconfig /> node is arbitrary, but should be unique among Tabs. It will serve as an identifier for your tab which we’ll use later in the config. The module="helloworld" attribute identifies which module this tab “belongs” to, <label> determines the name that will be used for your tab, and <sort_order> determines where the tab shows up in relation to the other tabs in the left hand navigation. Like a lot of popular PHP MVC systems, Magento has Helper classes, which are used for a variety of tasks that don’t fit neatly into Model, View, or Controller. Helper classes are one of the abstracted grouped class names, meaning system users can override default classes and module developers need to add a section to their config.xml to specify the base class name for Helpers. A lot of the Magento System code assumes a module has a default Helper class. If you got the exception mentioned above, it’s because your Helloworld module didn’t have this default Helper class and the System was trying to use it. Let’s add one now. That means the following two calls are equivalent. Finally, we need to add the actual Helper class. Add the following file, and you’ll be good to go. With all this done, clear your Magento cache and reload the System admin. Your error message should be gone, but your new tab is still missing. Note: If you’re curious about the kind of things a helper can do for you, checkout the Mage_Core_Helper_Abstract class for a list of useful methods that all helpers will have. The Helper interlude out of the way, our next step is figuring out why our configured Tab isn’t showing up. Each Tab has a number of sections. For example, the Advanced tab has (by default) an Admin, System, Advanced, and Developer section. There’s some familiar nodes in this new configuration section, as well as a few new faces. Similar to the <helloconfig /> tag above, this in a arbitrary name that’s used to identify your new section. What is a <label />? A label defines the display value used in the HTML interface for your new section. What is a <tab />? What is a <frontend_type />? This one it tricky. <frontend_type /> has meaning in other sections of the configuration (see below), but it doesn’t appear to do anything here. However, sections in the Core modules use this tag, so it’s best to follow the convention, even when you’re not sure what it does. What is a <sort_order />? Again, <sort_order /> determines where this sections shows up vertically compared to other sections in the Tab. What is a <show_in_default />, <show_in_website />, <show_in_store />? These are boolean config options, with a valid value of 1 or 0. They determine the level of configuration score/granularity this section has. With our section configured, Let’s head over to System -> Config again (reloading the Admin page often won’t be enough). You should now see your section and tab near the bottom of the left hand navigation. You can add more sections by adding additional nodes to the <sections /> node. If you click your new section link you’ll be disappointed by the results. A blank admin page will load, and the entire left hand navigation will vanish. That’s because the Adminhtml application can’t find an entry for our new section in the Access Control List (ACL). There are certain resources (where resource is a loosely defined term) that require a user to be authenticated before using them. Resource here is an abstracted term. It might be a page in the admin, or it might be access to a certain feature. The Magento team decided that System Config sections should have ACL protection. If you go to System -> Permissions -> Roles, add click the Add a new role button, you can see a graphical tree representation of all the Role Resources defined in your Magento install. That out of the way, we need to define an ACL resource for our new section. You only need to do this if you’re adding a new section. If you’re adding config options to an existing section you don’t need to touch ACL. Yes, that’s a mouthful. Let’s break it down a bit. First off, all defined resources are contained in the following node structure. Title is what will show up in the Permissions admin. With this in your config and your Magento cache cleared, you should now be able to view your config section. You may need to log out of the application and back into to see it. The Admin has some additional caching beyond the standard Magento cache that I haven’t been able to track down. Ig you log out, log back in, and navigate to your section you should now see a blank config page titled “Hello World Config Options”. Note: For some reason Magento strips the <adminhtml /> section of the config from the config object. This means you can’t use the Configviewer to check your work here. I’m investigating where (if anywhere) the <adminhtml /> section gets stored. So, we now have a blank config section. Our next step is adding a group. Each tag within this node is analogous to the tags from the top level <section /> node. 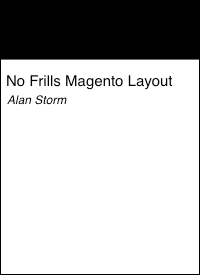 If you reload your page, you’ll now see an empty pop-open box with the title “Demo Of Config Fields”. Finally, we need to add our individual configuration fields. You’ll do this by adding a <fields /> node to your <messages /> node. We’ll start with a field name “hello_message”. Again, fields within your new <hello_message> node are analogous to the other nodes you’ve added so far. However, this time <frontend_type>text</frontend_type> actually does something useful by letting the system know what kind of form element you want. Reload your page, and you should now see an individual text field in the popup box. Once all this configuration information is in place, you’re done. No code is needed to save/load/update your config value. The system handles that all for you. tag. Reload your page, and you’ve now got a config field for saving a time value. Many, but not all, of the built in Varien data form classes (lib/Varien/Data/Form/Element) are supported. The <frontend_type /> tag acts as an identifier for a factory-ish pattern. Let’s try changing our hello message to a select field. If you reload your page you’ll see that you have an HTML select, but without any values. We’re going to need to add a source model to our field definition. Try this instead. See the Magento Models and ORM Basics and the Class Instantiation Abstraction and Autoload article if you’re not sure what’s going on in that config. That’s because we haven’t defined our source Model class. Let’s do that now. Note: If the warning you’re getting uses a Mage/Helloworld/... path, that means you haven’t setup your <model /> section correctly in config.xml. Source Models are classes that respond to a method named toOptionsArray. This method should return an array of values that are used to populate the default values of our form elements (which descend from the Varien_Data_Form_Element_Abstract hierarchy). For a select element, this means defining a set of value/label pairs. In the above example, we’re passing our labels through the Helper’s translation method (__). While not necessary, this is always a good practice. You never know when you’re going to get big in Japan! Reload your page, and you should have a working select field. In addition to setting up your own config Tabs and sections, you can add to an existing System Config section by adding appropriate sections to your own system.xml file. you’ll have a new group in the general Tab called “Example of Adding a Group”. We started off wanting to setup some System Config sections, and ended up exploring Helper classes, Access Control Lists, and the Varian Form hierarchy. In addition to what we covered above, it’s possible to create System Config options that use custom frontend and backend Models, which I’ll try to cover in a latter article. You can download the complete module for this article here.